Garlic is a great remedy for colds and viral infections. You can think of garlic as nature’s broad-spectrum antibiotic. It’s natural, safe, cheap, easy-to-use and incredibly effective. Whenever I have a cold or a fever, I find that garlic gets me feeling like myself again really quickly, sometimes within a day. You can take fresh garlic raw (and just chew and eat it), but to most people this can be quite punishing. I find that the simplest and best solution is to make garlic tea. Garlic tea is really just fresh, chopped garlic that’s steeped in hot water. Some people add lemon juice and honey for flavor, but this isn’t necessary for garlic tea to work. 1) Peel and roughly chop 3-4 cloves of fresh garlic. Let it sit for about 10 minutes. The wait allows allicin to form. 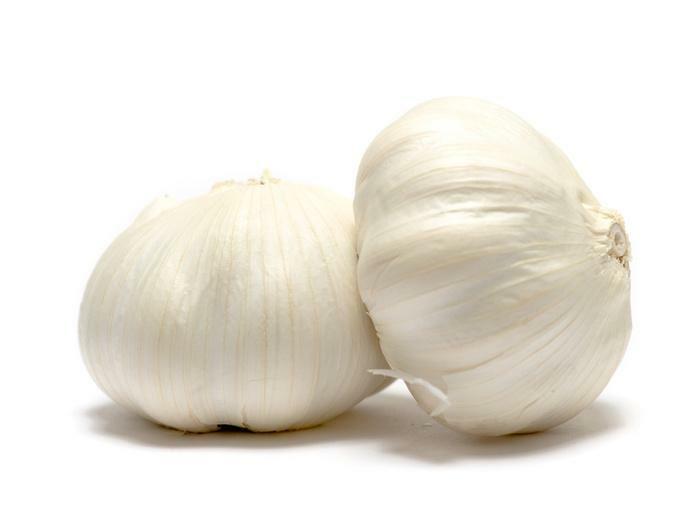 Allicin is the powerful anti-bacterial and anti-viral compund in garlic which only forms when garlic has been broken in some way (eg by chewing, chopping). 2) Add the chopped garlic to a mug and fill it with some hot water. Sip the garlic tea once it becomes cool enough. If you have a mild case of the flu or a cold, garlic tea should start working for you fairly quickly. However, if you’re down with a particularly bad bout of the flu, you might have to take garlic tea over a period of a few days. I've used garlic to treat my own ear infections, each time with great success. If you don’t have access to a doctor, try the humble garlic for a cure and some relief. Diluted lemon water gently flushes toxins out of your body, which helps control acne. The vitamin C is in lemon juice also helps collagen synthesis in the skin's epidermal layer. Results can be seen in a few months. Yes, this really works. This is also a common Ethiopian practise we use to treat colds and the flu. thanks for this. My grandparents used to make and drink garlic tea. They swore by it. Also, on TV I saw where the person with the arthritis would hold a bee by a pair of tweezers and make it sting the painful area. They swore by that remedy too, although I don’t know where you would get that done. Just a couple ideas I saw. Hope something works for you! I understand constant pain! Pretty obvious. Garlic is viruses worst enemie. Since when i started using garlic ,my body contineous to function well. thanx samantha….l really like this garlic tea for cold.And i make it and give to my father.he is severly suffering from cod and cough. You can, but you don’t have to. Just the garlic-infused water works for me. Just slice them as per normal. how can i make tea in a bag? or a concentrated syrup? i mean a garlic tea that can be in market and will last long.. is that possible? How can i get rid of the garlic breath?? thanks.. I just want to try if you have the answers on my question coz we are having some research about garlic tea.. so i want to know how long will your recipe would last.. will it spoil after how many days? I can’t help you, sorry.